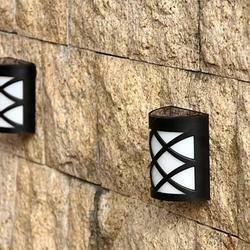 Curb appeal made easy with Spotlight Solar Wall Light In Lattice Design! No need for complex installation, wires or even batteries ! Mount on the garden fence as per given details and sit back and admire.. your flowery garden and cool pool are now highlighted with the Spot Light.. Get ready for snapshots and selfies..enjoy your happy garden ! 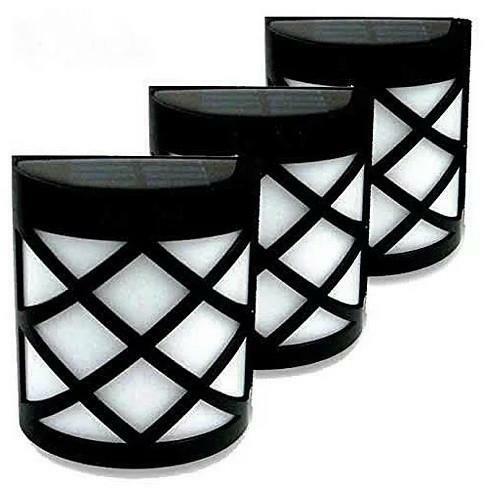 Details: Made of durable ABS plastic with Polysilicon solar plate. It is passed with CE and ROHS Certification. 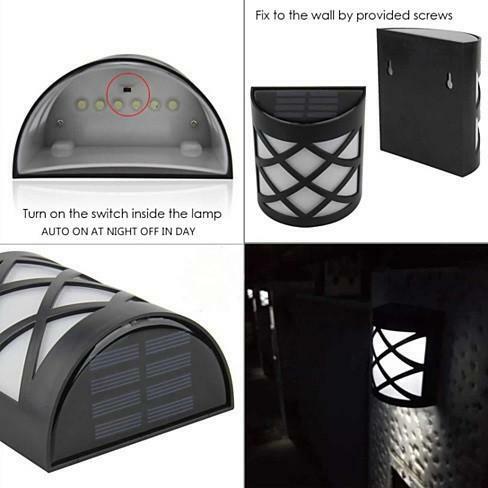 Concealed wall mount design on lights contributes to convenient installation (see picture on the box for details, the package includes 2 drywall screws and hollow wall anchors). 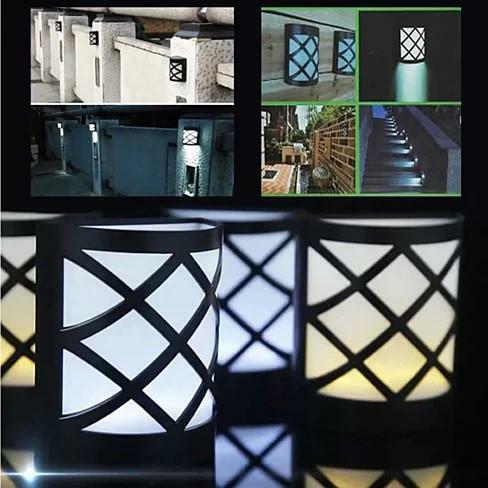 It has both fashionable appearance and safety function, the soft glow of the lights provide decor as well as safety for front yard steps, pathways and around trees, backyard patios and swimming pools. Made for outdoor usage purpose, sustains all weathers and is waterproof. Switch on after installation.Turns off in day time and charges for 6 hours, turns on automatically at night and works for 8 hours. It comes in Black color in matt finish.